Ole Gunnar Solskjaer will be taking charge of his tenth game as Manchester United boss against Leicester, having won eight and drawn just one to date. The likes of Paul Pogba, Marcus Rashford and Jesse Lingard have found their form and confidence under the Norwegian's stellar leadership. 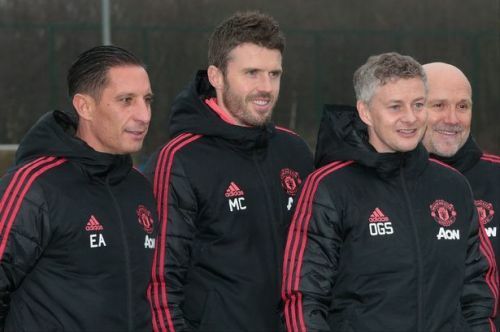 Against Leicester, Solskjaer will face a tough opponent and will want his team to click into gear fast and kill off the game early. Leicester is well-drilled and will be defensive for long periods of the game, Manchester United's creative players will have their work cut out for them in this fixture. With Chris Smalling now fully back in contention for the game, having been on the bench against Burnley on Thursday, the team is now almost up to full strength. The forwards are also in good form which will give the Norwegian boss selection headaches. Here's how Manchester United should lineup against Leicester City in a 4-3-1-2 formation. David De Gea is the obvious choice to start in the goalkeeping position. He has proven time without number that he can be relied upon and the manager will see no need to change that especially with his team chasing a top-four finish at the end of the season. 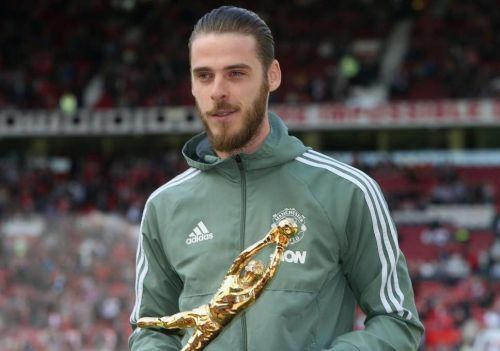 Despite conceding two against Burnley --which weren't his faults, David De Gea is still United best goalkeeping option and the manager will surely retain him for this game. David De Gea's delivery will also need to be at it best since Leicester City are likely to frustrate United and they may just need another dimension to open them up if the conventional ways aren't working.